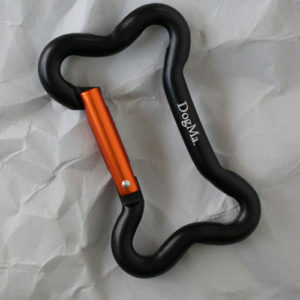 Handmade, colourful, dog paw earrings for that special DogMa. Handmade Teal Dog Paw Earrings – another ULTIMATE pair of earrings for the serious DogMa!! 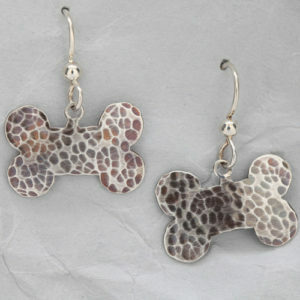 We powder coated these amazing earrings after cutting out each paw. 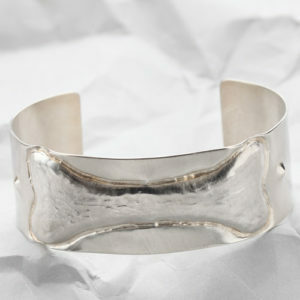 The metal is Argentium Sterling Silver. 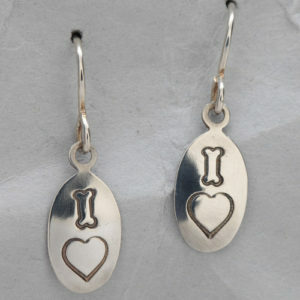 Argentium Sterling Silver does not tarnish as easily as Sterling Silver. 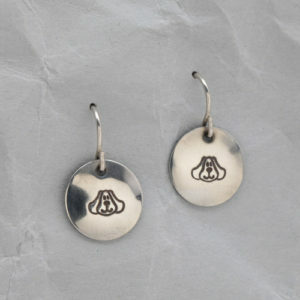 The backs of these paw earrings are not powder coated and have a subtle texture in the Argentium Sterling Silver. 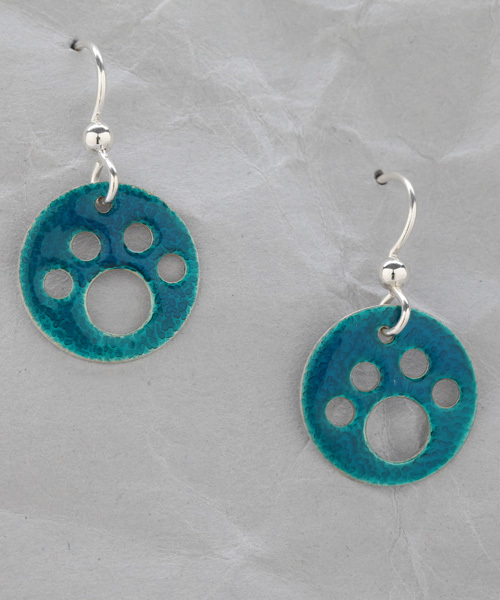 Each Handmade Teal Dog Paw Earring measures five eighths of an inch in diameter. 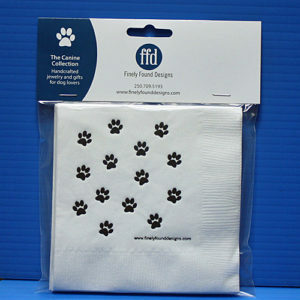 The high quality Sterling Silver earring hooks give these dog paw earrings a length of one and one-eighth inches. 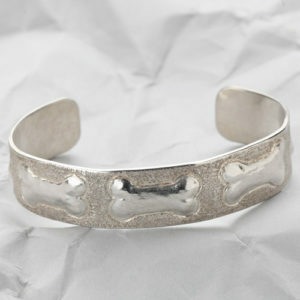 They are lightweight and can be easily worn all day. 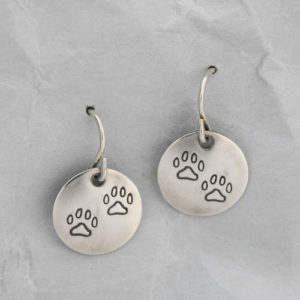 Canada Post ships these Teal Dog Paw Handmade Earrings with tracking for your convenience and peace of mind.